Environment activists and watchers will be detaching themselves briefly from their various points of resistance to observe the implications of a High Court decision in Australia that was handed down last week. The decision found that various anti-protest provisions of the Tasmanian parliament found in the Workplaces (Protection from Protesters) Act 2014 were invalid. The Protesters Act had been passed to muzzle and control protesters concerned that the Lapoinya state forest was going to be felled for the Malaysian logging company Ta Ann. The Tasmanian government seemed enthusiastic enough with Forestry Tasmania to wish for the operation to go ahead. To that end, Premier William Hodgman promised targeted action against “radical” environmentalists. What he got were those very “man and dad” protestors he was attempting to avoid. 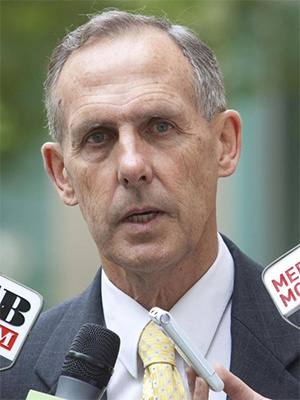 It fell to the former Greens leader and senator, Bob Brown, to take the standard and march the issue into the chamber of the Australian High Court. No experience in the English language is more painful than wading through the constipating exercises of an Australian High Court decision. Grand principles expire in procedural dryness; ideals freeze over in explanations of murderous boredom. Principles and rights often seem like afterthoughts rather than mountainous feats of human endeavour, the stuff to revere rather than wear down. To win a High Court action requires, not an understanding of Cicero and the medium of justice in its ideal form, but an awareness of an accountant’s counting apparatus, its dulling effects, it conservative values. Brown was fortunate to have the spirit of the accountants on his side, specifically on the issue of convincing the court that the Protesters Act was an unwarranted intrusion on Australia’s mild, even lukewarm version of free speech. Five judges favoured the position; two (Justices Gordon, in part, and Edelman) did not. A glance at the definition of protest activities in the legislation alerts us to the problem. Section 4 breezily covered protest activities as those taking place on a business premise or access area in relation to a business “in furtherance of” or “for the purposes of promoting awareness of or support for” an “opinion, or belief about a “political, environmental, social, cultural or economic issue”. The judges also noted the impact the legislation would have had on protesters in general, including a broadening of areas of operation and consequences for not complying with directions given by police officers and forestry staff, not to mention stiff penalties. These would have deterred “protests of all kinds”, and were hardly reasonable in the context of achieving the act’s purpose. The judges’ view is hardly remarkable, though it is couched in ginger footsteps of reasoning. Caution is expressed. Striking the balance, for instance, on what might be an appropriate burden on political communication has yet, according to Justice Nettle, been settled in Australia. But his honour did find that the legislation gave unwarranted discretion to police officers to remove and prevent people from returning the forestry areas. Justice Gageler went so far as to call such powers “capricious”. When looking at the purpose of the Protesters Act, there could be no other reason for its design: to frustrate and prevent conduct that could damage a business or disrupt its activities, while also deterring protesters who might harm those activities. Both judges in dissent could not quite see why the challenge to the Protesters Act could succeed because of vagueness, though Justice Gordon found the four-day prohibition on entering a business premises after an officer directed a person to leave lacked a legitimate purpose “other than for the suppression of political communication”. The question, in other words, is always one of degree, and the legislative drafters of future anti-protest legislation will be taking note. The stifling setting, and language, of the High Court did not discourage Bob Brown. This was a famous victory for the environmental movement, even if the court had not passed judgment on Premier Hodgman’s “decision to flatten the Lapoinya state forest in northwest Tasmania”. The catch-all nature of the legislation, the fact that it applied to all protestors of whatever ilk, sank the legislation.